Missing Nesta? | Club Nesta | Connect WITH Nesta! | Hitch On! Welcome to Nesta's Gateway To NESTAMERICA! 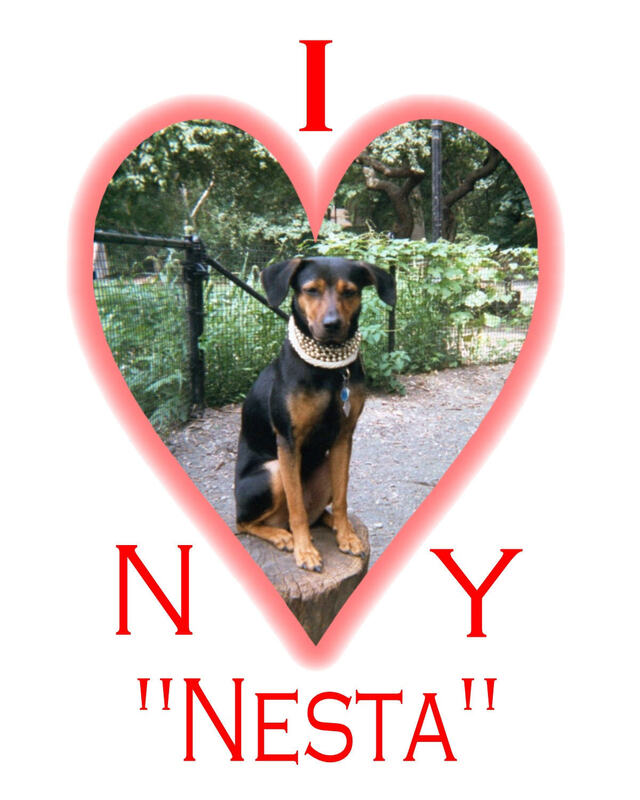 Nesta is a Manchester Terrier that says "I LOVE JAY LENO" better than ever these days. Clicking on her nose will take you on your own "NESTADVENTURE"! Remember, Nesta's a hitchhiking fool so give her a chance to entertain you. We've been working hard here! NESTAMERICA is designed to help advance Nesta to television. You'll be able to learn more about Nesta's travels and can even hear her talk! Jay Leno's 10th anniversary hosting the Tonight Show was May 25, 2002. His birthday was April 28th. We think Nesta can flatter Jay like nothing else. Let's see if James & Nesta can make their way back to Burbank and get the job done! Copyright by James Smith 2002.